You heard that right! Chase Ultimate Rewards are undefeated in every game they’ve played! First, the Freedom routed the JetBlue Business card in Game 3 and the Ink Business Cash upset the Barclay Wyndham in a major victory, 52-4. On the second night of our tournament, the Freedom Unlimited, Ink Business Unlimited, and the Sapphire Preserve all won their games. In Game 17, the Reserve obliterated the Synchrony Sam’s Club in our most-attended game! Keep reading for more Ultimate Rewards wins! The Platinum beat the FNBO TravElite card by a wide margin – 53 to 6. FNBO isn’t a bank I hear of frequently, at least in the Northeast. The Platinum has a much wider user base and offers a long list of great benefits. One of those 53 people? Check out the latest offer on the American Express Platinum here. IHG just took the lead over the Southwest Premier late in the game, with a score of 34 to 24. This is another underdog win, with the IHG originally ranking 35 seed and the Southwest Premier ranking 30 on our Facebook polls. I’ve heard mixed reviews of the updated IHG card, but it seems like most of our readers like it! While you’re earning Hilton points, check out the Grand Wailea Maui! Hilton wins in a landslide! Despite the sweet spots in the Avios distance-based chart, people really get value out of the new American Express Hilton cards. In Game 9, the Hilton Aspire defeated the Wells Fargo Propel card by a wide margin too. The Ascend card is the middle of the pack, offering decent benefits at an average annual fee. Hilton chalks up another win, living the Hilton family of cards undefeated so far in Card Madness 2019. (would you look at that, both the Hilton Honors and the Hilton Ascend got 52 points!) Spirit Airlines conjures up images of packed seats, long lines, and grump passengers for most travelers. Still, if you’re a fan of Spirit (like me!) the card can offer some value in double miles and access to cheap award seats. In the end, Hilton will be moving on to Round 2. Man, I really thought this game would be closer! The Frontier card allows you to do something no other credit card does. It still wasn’t enough though, and the the Barclays Frontier Mastercard suffered a 5-53 loss at the wings of the AAdvantage Aviator Red. This is a tough round for Southwest – they lost Game 26 against the Hilton Aspire, and now another loss against the Gold Delta SkyMiles, by only 3 votes! Holding the Gold SkyMiles card will earn you double miles on Delta flights and free checked bags. Another Ultimate Rewards win! The Chase UR cards are undefeated in Round 1 – proving our readership loves the flexibility and transfer partners of Chase’s Ultimate Rewards currency. The CitiBusiness AAdvantage Platinum only had 10 votes, to the Ink’s 45 vote count. Chase locks up another win with their Hyatt card agains the AmEx EDP, 37 to 23. A fairly close game, the EveryDay Preferred’s steady earn rate wasn’t enough to compete with Hyatt’s stellar redemption and availability rates. Tonight brings us to the first games of Round 2. We’ll be narrowing the competition down even further here, and there are some really tough matchups this round! We’ll separate the good from the great! In the first round, the AmEx Gold beat the AmEx Lowe’s card by a whopping 61 to 1, and the Amtrak card lost to the FlexPerks Visa Signature 39 to 13. Remember, the Gold was revamped recently, and includes some great new benefits. In addition, AmEx has been strengthening their transfer partners, lending more credibility to the Membership Rewards program. The US Bank FlexPerks Travel Rewards Visa Signature is the last standing US Bank card in the tournament. Going up against our number 1 seed tonight, it offers a great, flexible points system – essentially a cashback system, along the same lines of the Arrival+ or Discover it Miles. Chase is on a huge winning streak! No Ultimate Rewards cards has lost a game yet, and we’ll see if this trend continues. The Freedom beat out the JetBlue Business card 52 to 7 in the first round. While I’m a fan of JetBlue, the Freedom’s flexibility and 5% categories are a huge benefit. The AAdvantage Aviator cards are also a favorite for our readers though, due to the great welcome offer and benefits. The Aviator Business won against the Banco Popular Avianca Vueda Visa in Round 1, 48 votes to 17. Will Chase UR cards continue into Round 2 undefeated? Another big game for Chase here folks! The City National Crystal card has a long list of benefits. If you can get the card, it’s a great one. Although not as common around the blogs, the Crystal squeaked out a win over the Capital One Venture card in Round 1, 28 to 26. With a $250 airline credit, Global Entry credit, and Priority Pass Select membership, it’s hard to go wrong. The Ink (seed 40) was the underdog in Round 1, but rallied to 52-4 victory over the Barclay Wyndham card (seed 25). This proves, in my head at least, that the value proposition for transferrable points is real to you guys. You’re seeing the Ultimate Rewards cards, the Membership Rewards cards, and they just make sense! Want to jump on the bandwagon? 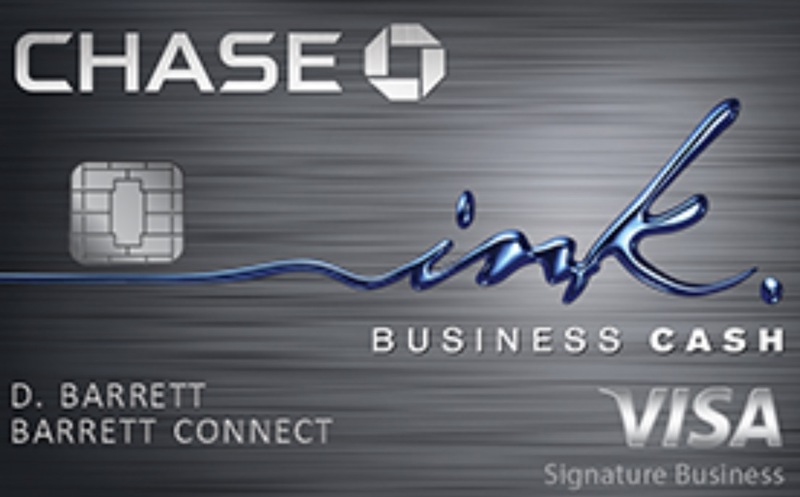 Check out Chase’s latest offer on the Ink Cash here – but make sure you’re under 5/24! I have a feeling this gam will be close. Both cards provide great value – the ThankYou Premier due to it’s benefits and ThankYou Points partners, and the Alaska due to the airline’s award travel sweetspots. In Round 1, both games were close, each card winning by 18 and 15 points, respectively. In the end, which will you vote for?